Thanks for coming by. 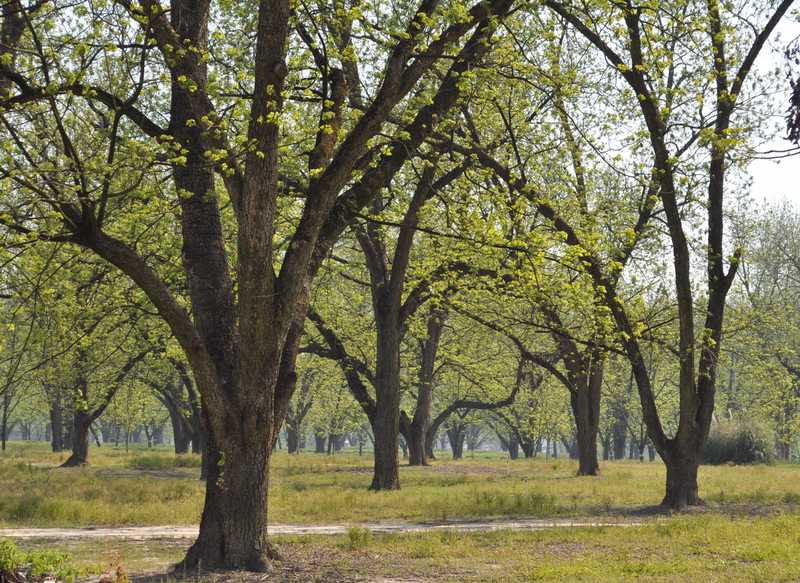 Here’s where visitors begin to explore the fictional world of PEACH SEED MONKEY, my work-in-progress, debut novel, set in 2012 Albany, Georgia where majestic pecan groves such as the one above are a common sight. I took this photo in March 2011 when I went home for the first of two research trips that year. The title provokes many questions. Maybe you’re like most folk and have never heard of a peach seed monkey. When I was growing up in Albany, Georgia in the 1960s, my late cousin Paul Herns gave me a tiny monkey he had carved from a peach seed. Paul was married to my cousin Elois Carwell Herns, the eldest child of my mother’s eldest brother, C.J. Carwell. (You follow?!) My uncle moved his family north during the great southern migration of the 1950s to work in a steel mill in Youngstown/Campbell, Ohio. Paul worked in the same steel mill. He told me he often took a peach to work with his lunch and would drop the seed in his pocket to carve later. The story stops there for me, even Lois isn’t sure how he learned to carve the monkey. I now wish I’d asked when I had the chance. There’s a lotta that going around. Paul also gave a monkey to my late sister, Dr. Betty Jean Jones. My monkey’s tail broke years ago, and when Betty died in a plane crash in 1997, I found hers—completely intact—in her jewelry box. Hers has something mine didn’t have ~ rhinestone eyes. That jewelry box, with intricate inlaid top, small key with red tassel, found its way into the novel, as did the spirit of my late sister, mother and father; pieces of their grace, wisdom and humor are spread among the characters. I’m adapting this story across three mediums: novel, screenplay and play. I hope you’ll visit often ~FOLLOW!~ to join this journey as we see where it leads.